chocolate and ice cream. Categorised in themes we zoom in on all matters of interest to bakers in their day-to-day work. We do this in background articles, features, columns and recipes. 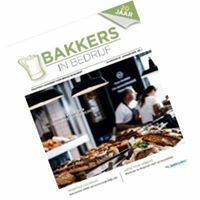 Bakkers in bedrijf is intended for all professional bakers in the Netherlands: bakers making their products according to traditional methods, in the industrial sector, in the catering industry, in food services or in schools. We work closely with all relevant organisations in the sector. • Minimum contract period: 1 month, a discount is available for longer-term contracts. • Customers are advised to take out a leaderboard ad to ensure the best possible result on different devices, submit full banner and large rectangle in two formats.Bakkers in bedrijf is the backup for bakers. advertising both online and offline. Doing this means your message achieves optimal reach and impact. 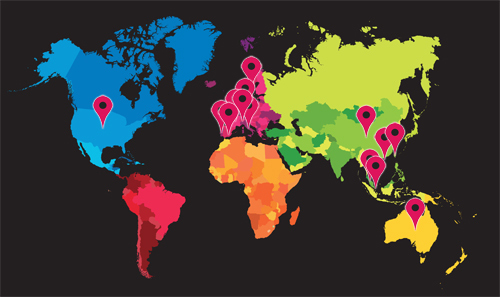 Both online and offline we offer commercial and editorial prospects for maximising exposure. Your story, written by our editorial staff, is a powerful means to convey your message. Our media advisor is more than willing to assist you draw up a fitting campaign. tours on a regular basis.